Are you looking for best headphones for rock music? Are you stuck between the decision of what headphones are the best when it comes to Rock genre? I too feel like you! And today I have something that will help you take the right decision when it comes to listening to rock music. Before we start; let me mention​ that Monoprice 8320's are most loved IEMs under cheap budget. 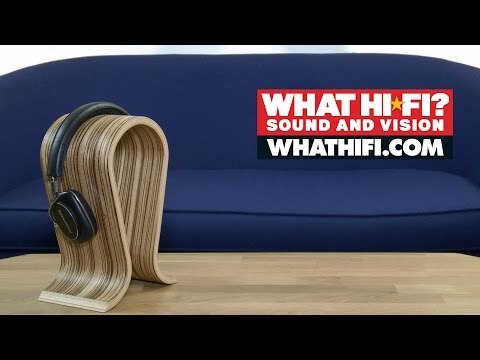 Guys from Head-fi and Lifehacker are going gaga over it. 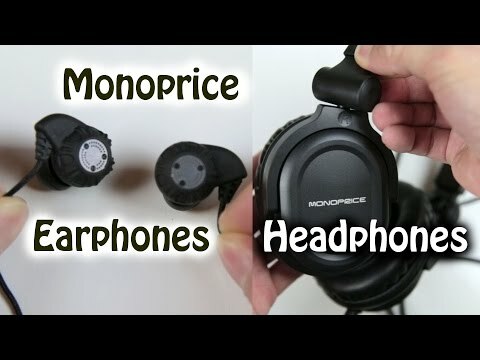 Since Monoprice focuses o​n the headphone itself; hence they're cheap and sound great. The company follows mantra of focusing on headphone sound quality; makes the packaging very less to talk about. It only includes two pair of small and large ear tips. Hence you might want to get some aftermarket eartips as well. The design of Monoprice 8320 is unconventional to regular IEMs because they fit in your ears upside down; putting the wire behind your ear. Coming to sound quality; they offer great clarity in mid-range section and have a controlled bass. Construction of Monoprice 108230 is plastic which certainly looks like metal; however the connecting wires are fabric coated. The big 14.2mm drivers inside these IEM enables it provide a vast variety of sound also making the in-ear headphones look big. These are definitely one of the best cheap earbuds that you can buy to listen to rock music. "The odd design of Monoprice 8320 is a little hard to get used to but after initial usage your ears get used to it." A decent eartip like the Comply T-400 is highly recommended. Comply eartips cost marginally more than Monoprice 8320 itself. However a combination of tight seal and great sound quality changes the dynamics of your rock music. Brainwavz has made a veteran name for themselves; with lines of earphones like the M1, M2, M3 and M4. Now it's Brainwavz Delta that's making huge noise. These in-ear headphones surely deserves a mentioned as the guys from Wirecutter feel its the best IEM under $40 budget. Package includes these IEM, two pair of silicone tips and a pair of Comply eartips which offers absolute noise isolation. At a price of $20; Brainwavz Delta are built with metal giving it a premium look and feel. Feel free to check it's review on techpowerup. Also check our list of Best Bluetooth Headphones Under $50. Brainwavz Delta have a clear sound which is essential for listening rock music without any overpowering or loose bass. The Delta's are easy to carry around and can take some beating due to its metal housing. "For a $20 IEM; Brainwavz Delta sound is exceptionally clear with great emphasis on mids and highs." Monoprice headphones are all about the sound that comes through cans; rather than the product packaging, accessories and other glitz and glam. However for Monoprice 8323; the company has been generous enough to throw in 1.2 and 11.5 feet detachable cables along with 1/4 inch gold plated adapter. The sturdy plastic construction tends to make clacking noise, as you can see in the video below. They have a balanced sound with right amount of bass punching through your ears. Rock songs are a treasure to hear via these cans. I'm absolutely mind blown that at a price of ~$30​ the sound quality is top notch. "If you want a cheap, sturdy and great sound quality over-the-head headphones for you rock music playlist; nothing can get better than this." Superlux is a new company with only a handful of audio products in the market right now. 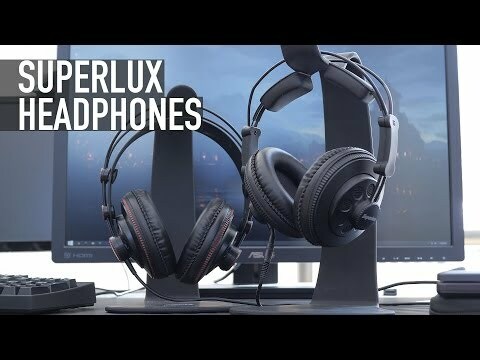 Superlux HD668B is one of their best open back headphones under $50. Being a semi-open over-the-ear headphones they offer wider soundstage with better visualization of sound. Similar to Monoprice 8323; the box comes bundled with a short and long detachable cables along with 3.5mm-to-6.2mm converter jack. Coming to sound quality; these headphones have a clear distinct sound with wider soundstage. "You can definitely hear your rock songs with right tonal balance. Superlux HD668B's bass is tight, along with even tighter mids; however the highs can be a little daunting and harsh. Not a major problem considering they are priced only under $50." Since Superlux HD668B are a 56 Ohms impedance Headphones; its recommended to use a portable amplifier like the C﻿﻿reative Sound Blaste﻿r E﻿1 with it. Out of all the headphones in this list, I personally love the MEElectronics M-Duo due to its metal housing, Kevlar built, and twin dynamic drivers. At $50 these earbuds are total steal to anyone wanting an excellent sound quality earphones with clean design. The company has been very generous about the accessories thrown into box; it includes 3 single flanged eartips; one double flanged eartip and dual triple flanged eartips. Also included is a clamshell pouch to store your headset along with shirt clip. MEElectronics M-Duo are durable due to its metal construction; housing 9mm bass driver and 5mm tweeter offering sound that makes it best cheap earbuds for rock and metal music. After burning for several hours, sound turns crisp with right amount of bass punching through your ears. Under $50, aren’t these a perfect steal? Make sure you check out its detailed review on AnythingButIpod.com. "Listening to songs like Muse’s Supermassic Blackhole and Gorillaz’s Feel Good Inc having mix of vocals, bass and highs is prominent via these." This headphone could be the most underrated product in our list of best headphones for Rock Music. With rating of 4.5 stars on Amazon.com, is it hard to go wrong with Panasonic RP-HTF600-S? These are over-the-ear headphones with 50mm diaphragm and an impedance of 56 Ohms. Just like the sound, the design of Panasonic RP-HTF600-S looks balanced with a mix of metal and plastic. Sound Quality on Panasonic RP-HTF600-S is strictly balanced; making a suitable listening experience with your favorite rock music. Panasonic RP-HTF600-S sporting a semi-open design enables outside noise to mix with your music. It’s better to sit in a quieter room while using these. "Out of all the positive things; one complaint that I had with these is, the earpads don’t do justice to the overall build quality of the headphone. You will even need a cable manager as the wire on Panasonic RP-HTF600-S is 10ft long." Try and replace Panasonic RP-HTF600-S pleather earpads with Beyerdynamics EDT250v memory foam earpads for additional comfort and a tight seal with lesser clamping force. Shure is a well-known brand with audiophile grade audio products. It’s the go-to brand for any musician or sound engineer for audio needs. The brand has been a pioneer in providing best sounding earbuds and headphones at cheap price. Shure SE215-K too isn’t an exception; for an affordable price allows normal consumers like you and me to try our hands on professional music. With a correct balance between lows, mids and highs even at lesser volumes, comparing it with any other IEM in $99 price range is overkill. The design might come as surprise to many as Shure SE215-K are meant to be wrapped behind the ear. This kind of design (if you’re new to it) takes time to adjust; once you get used to it, you’re good to go. Shure SE215-K either comes in 100% transparent clear case or low opaque black color. There’s also a special edition model to the Shure SE215-K which comes in blue colo﻿﻿﻿r and $35 higher than the original. The transparency allows to see the innards of Shure SE215-K.
Cables are braided on Shure SE215-K and the ear unit is detachable from the cables (see video below); which might come as surprise to many. Do not forget to check out this review by EarphoneSolutions. At $99 they sound great, look amazing, comes with 3 pairs of silicone tips and 3 pairs of foam tips followed by a clamshell storage pouch and at last... it’s Shure. 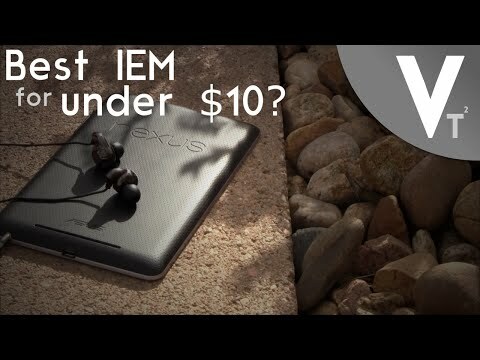 "These are definitely a stylish and durable earbuds under $100 that you won't regret buying for listening rock and metal music"
There are peculiar chances that you might not have heard about this brand, the brand and the earphone name sounds very generic to say the least. However the same cannot be said about its build quality and sound. Being a triple driver high quality earbuds containing balanced armature, 1More’s Triple Driver in ear headphones are an excellent pick for the price it sits at. As I had mentioned in this article, Balanced Armature earphones don’t happen to cost cheap, however this one costs just under $100. For the price, the built quality is absolutely astonishing. The outer earbuds are built using aluminum alloy that definitely gives its a premium look and feel as soon as you get your hands on these. 1More’s Triple Driver happens to have an angled eartips that makes sure they sit comfortably in your ears. Once you move down along the wires, you get a 3 button iOS ready remote control for receiving/end phone calls and volume up and down. The two balanced armature driver helps in offering laser sharp accuracy while the single dynamic driver handles the low level frequencies. Since it has balanced armature drivers that focuses more on neutral sound and a dynamic driver to produce essential bass, these happen to be one of the best headphones for heavy metal music. Just like the earphone itself, the package contents are no match too to other earbuds in this list. These happen to be the best earbuds with mic under $100 as far as I can tell. You get the 1More Triple Driver earbuds along with a leather carrying pouch, airline adapter, shirt clip and 8 pairs of eartips in different sizes including 3 foam eartips to suit all your needs. "With great response in the mid and higher frequencies, and very balanced low frequencies, the 1More Triple Driver makes a perfect companion when listening to rock music as well songs coming from Metal, acoustic and country genres." Grado SR80e are an affordable option if you want to get introduced to audiophile grade music. I love the fact that Grado SR80e still retains that elementary school design from the 1950’s. Grado’s are all about the sound that comes through the cans and almost nothing else. Grado SR80e is void of fancy headband, headband adjustments, foldable design, heavily padded earpads, accessories and decorated packaging. However these are not meant to be taken wherever you go, as they sport an open-back design. Use it indoors; in your house or a place where ambient noise is very less. The open-back design makes sure you’re listening to optimum sound quality with a wider sound stage. Grado SR80e makes you feel you’re in a concert or with the musician as the music is more open. There’s also a cheaper version Grado SR60e at $79. 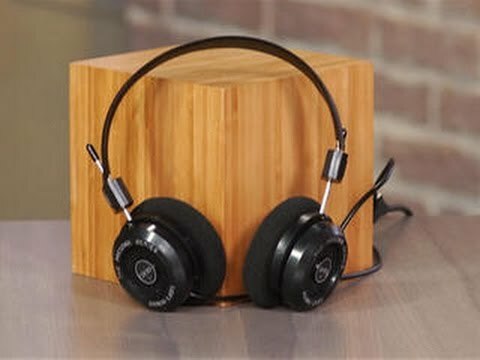 With the remaining $20 you can buy Brainwavz Delta; and there you have it, best headphones for rock music both indoors and outdoors. Klipsch Status is for those who like to take their music to work, college or anywhere outdoors along with style and design. Klipsch Status have to be the most stylish headphones for rock music in our list. Unlike the above mentioned Grado SR80e; Klipsch Status are completely opposite with a closed back design and glamorous feel and velour padding. The package includes two removable cloth covered wires; one wire includes the inline mic. Sound wise they have a signature Klipsch Sound with crisp treble and balanced bass. 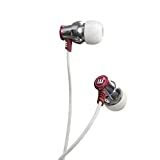 These however happen to be best over headphones under $100 as per user reviews on Amazon for Rock and Pop music. Klipsch Status are marketed with tagline, “Hear what you’ve been missing” which can be a bold claim. "However these can give Beats Solo a run for its sound and money and hence these still stand up in our list of best headphones for Rock Music under $100." Talk about durable and tough in-ear headphones and RHA T10i stand first in the line. 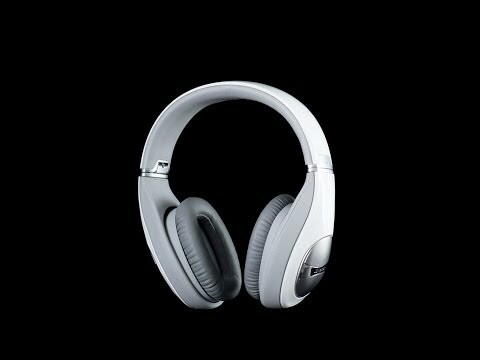 They’re made up of moulded stainless steel which gives it a tenacious quality you’d expect from a $200 headphone. Even the packing itself is premium. RHA T10i comes included with 6 pair of single flanged propriety RHA ear tips, 2 pairs of dual-flanged ear tips and 2 pair of foam ear tips inside a metal case. ... they come with three tuning filters. Hence if you’re a bass-head, metal-head or studio professional these IEM are meant for all kind of use. The tuning filter include, one for bass, treble and reference sound allows RHA T10i to have 3 distinct signature sound. These are really a boon for someone who listens to vast variety of music from jazz to hip-hop to hard rock. 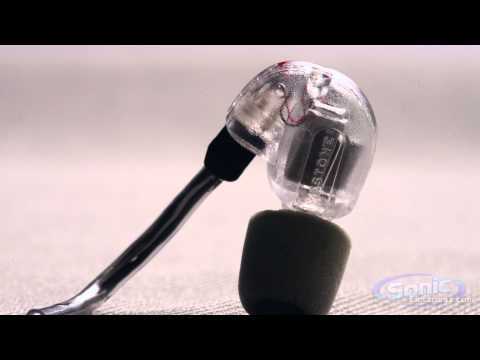 He just needs to change tuning filter (as shown in video below) and you’ll get an incredible sounding earphones. 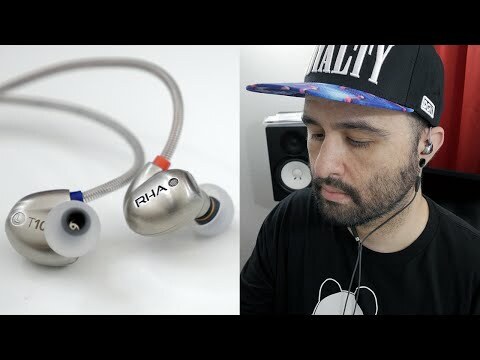 The overall construction of RHA T10i is very solid and built like a tank. Make sure to check out it's review by clicking here. Provided carry pouch allows you to freight everything that’s offered in the box. "These surely can be said best headphones for rock music, hip-hop music and sound production." Chord & Major is fairly a new brand and anyone would think twice before buying product from new brand with a price this high. Before we talk, let me give a disclaimer that I haven’t had my hands on Chord & Major 8’13 but some folks from Head-Fi do claim that these have great sound quality are surely best headphones for rock music under $200. 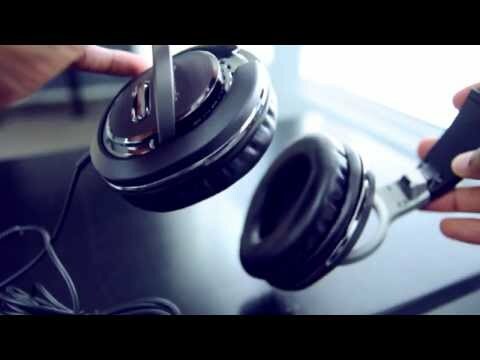 Do check out its exhaustive review of Chord & Major headphones by Calbee from Head-Fi. Also exist 7’13 for Jazz and 9’13 for Classical music. "Since these are tonal headphones, they’ll sound amazing with rock music and its sub-genres." 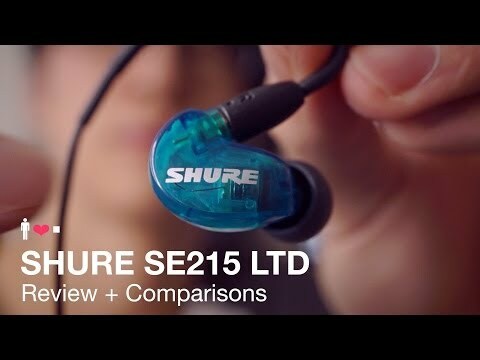 Shure are definitely known for their in-ear headphones used by musicians, they also excel in constructing high quality and best headphones under $200. Shure has built a name for them for creating audio devices of extraordinary quality and the Shure SRH840 are no exception. Even at a price of $199, the package is very simple featuring usual set of accessories like two short and long cables, a 1/8 to 1/4 inch adapter. The company has been generous enough to throw in extra ear pads and a faux leather retractable pouch. ... but who cares if you want the best headphones to listen to music. Since they’re meant for professional studio monitoring, they tend to have flat response as expected from studio headphones. The only thing that spoils the look of these over the ear headphones are the wires that transpire from behind the ear cans and run into the headband. "Under $200, Shure SRH840 are surely the best headphones for the price." 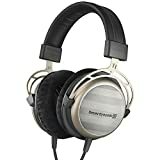 Tech Enthusiast Lauren Dragan at TheWirecutter.com has listed Sony XBA-H1 as the best headphones under $200. Sony XBA-H1 is what the company calls as Hybrid 2-way headphones, which is just another marketing name for dual drivers. These IEMs have a full range balanced armature driver and a dynamic driver that offers clean bassline along with overall balanced sound quality. The clear bass is assisted with astonishing tight mids and colorful highs. Sound of cymbal are clearly heard and there’s plenty of dynamic changes during Dubstep music. Sony XBA-H1 usually have mixed response from consumers; some say that these sound tinny whereas for some they sound accurate. Problem could be due to its big profile compared to other in-ear headphones. These stick out from your ears. Hence before you buy these; I recommend to try these out first because at the price of $199, they simply don’t come cheap. "Accurate sound is what describers Sony XBA-H1." The second generation of P5 are newer upgrade to the original P5 having similar design as the old ones. Bowers and Wilkins P5 S2 are on-ear headphones with memory-foam leather padding; magnetically attached to its earcups. Headband being all metal is covered with similar memory-foam leather padding. Coming to sound-quality they have a recessed sound with slighter emphasis on bass. Lows are textured which require a burn-in period of 40-50 hours. Out of the box, these headphones sound a little blurry. Bowers and Wilkins P5 v2 have detailed sound with great punch towards the mids. Overall sound signature is however much brighter than my liking. Still it’s my opinion, you might have a total different point on it. However these are on-ear headphones, hence they’re have clamping force and feel little tight. Stretching the headband might result in permanent figure displacement due to metal headband. Check out Bowers and Wilkins P5 S2 review by clicking here. "Once burned, the sound is laid-back allowing you to sit on your rocking chair and listen to music on a lazy day." Beyerdynamic DT880 Pro comes in three version, Pro (250 Ohms) and Premium that has 600 Ohms and 32 Ohms (Smartphone Compatible). However before we start, Beyerdynamic DT880 Pro do require an amp to power these to their utmost limit. Your smartphone sincerely can’t provide the power these cans need. These have semi-open design that provides naturally moving and livelier sound. The headphone packaging is simple and contains long coiled cable and quarter inch adapter. Minimal packaging always gives a hint that the money you pour in is used in the sound quality of headphones. Beyerdynamic DT880 Pro looks big; out of the box but once you get accustomed to these, it feel very comfortable due to its soft memory-foam padding. Headband is all metal and covered in leather while the build quality is top-notch. Though there are no perks, as they do not fold up nor swivel. It would have been brilliant if the company could throw in a carry case to carry these beast of headphones but still they makes the best headphones under $300. Beyerdynamic DT880 Pro have a very rich sound texture and one can definitely notice the emphasis on sound quality as seen on all Beyerdynamic headphones. Grado SR325e are top of the line model in Grado Prestige series with the SR325e being newer generation model launched in 2015. Unlike previously featured SR80e, Grado SR325e have an the over-the-ear design making it comfortably sit over the ear. In spite of that, some people have complained that the earpadding doesn’t feel comfortable. There’s also nothing fancy of sorts; just your headphones and music. That’s it! ... but that’s how Grado manage to make them sound incredible. They produce remarkable sound when listening to Jazz, Rock, Classical and Metal Music. Grado SR325e is meant to produce true tone music, rather than artificially manipulating it. "Electronic and Hip Hop music can also be played via Grado SR325e but don’t expect them to produce thumbing bass. Grado’s aren’t meant for that." Weighing at 260 grams; Sennheiser HD 650 aren’t the lightest of the lot. However compared to other Reference Headphones they carry on less weight. It’s an Open-Back Dynamic Headphones that gives better soundstage compared to closed back models. Sennheiser HD 650 comes in a luxurious box that justifies the price. Included inside is a ¼” to 1/8” adapter. The headphones however come with 6.2 mm adapter as default unlike other headphones which have 3.5mm as default. Cables are detachable from the earcups and have a propriety connection. You can expect great sound accuracy with utmost from these as they offer Total Harmonic Distortion of 0.05% even at higher volumes. With a combination of plastic and metal material gives it a premium feel. The earcups have super-soft velour padding and the headband has glossy finish. 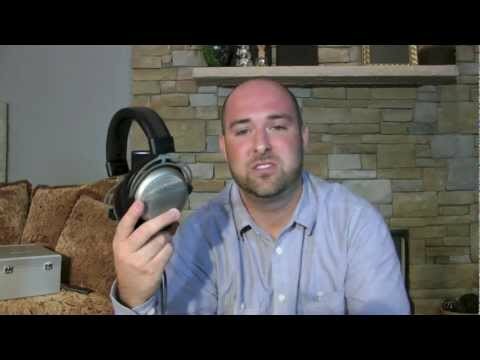 Sennheiser HD 650 being 10 years old; they don’t have foldable design or 180 degree swivel. However they do swivel little bit. Do check out it's review here. "The sound quality is wonderful on these, you can hear every detail from songs in your playlist and will be able to differentiate between different instruments being played." Westone UMPro30 stands the middle ground with UMPro10 and UMPro50. Our list of best headphones for rock music would have been incomplete if we didn’t have Westone UMPro30 featured in it; as this is the brand used by musicians during stage shows and live concerts. The design looks almost similar to already featured Shure SE215-K with similar type of detachable cables. It comes with what Westone calls as EPIC cables that are twisted around with MMCX connectors. The package comes with plenty of color coded foam tips and Monitor Vault Pro; Westone’s version of a carrying case. Coming to sound quality; these are as flat as an IEM can be. If your ears have been feeding over bass boosted headphones; the flat sound may feel deviating. Do check it's review by clicking here. Westone UMPro30 are musician’s grade audio device; hence picking slight details from incoming rock music is not a problem for these. For an IEM, they have an excellent sound stage where everything is accurately produced. They happen to be the best headphones for heavy metal. "Featuring triple-drivers, each of which focuses on lows, mids and high frequencies you can expect it to generate sound with upmost details." Another Grado in the list. Hold on... I’ll tell you why they should be? Because when we’re talking about best headphones for rock music; Grado’s knock the socks off of any other headphones in similar price range. Like all Grado’s, the RS1e too sport an Open back design with an (do I always need to say) excellent sound stage. The package is minimalist with a 6.2mm extension cable and nothing else in terms of accessories. With a vintage design, Grado RS1e still looks premium with leather headband and wood-made outer ear cup. Upgrade to RS1i, Grado RS1e sound extravagant even at low volumes with great attention to details in the mix. "Grado RS1e has a sound that can’t be described; you need to hear it to experience it." Beyerdynamic T1 Tesla are the most premium priced headphones in our list of best headphones for rock music. Starting from the package, Beyerdynamic T1 Tesla arrives in an all aluminium box. See the video below to get an idea of it. However, it’s disappointing to see the package to include only the headphones and no other accessories. Aluminium is the primary material used to built this headphones which helps its keep down to already heavy 350grams. Design however looks similar to already mentioned Beyerdynamic DT880. Impedance of 600 Ohms requires you to connect Beyerdynamic T1 Tesla with a powerful Amplifier, to make them able to do justice for its capacity. You need to hear them to know how they sound well because talk is cheap. "If you’re pocket is very huge, and hungry ears; give them the joy of Beyerdynamic T1 Tesla." I believe this guide is a must have for rock-heads who want best headphones for rock music. It's highly recommended, to buy the ones listed here to get the best headphone for the price. Make sure to make the correct decision when you step out into the market to buy best headphone under you budget. If any of your friends are confused about what headphones are the best for hard rock music do refer them this guide. Do not forgot to share it on social media channels like Facebook, Twitter, Google+ and Reddit. We'll love you for that!